The article talked about the new generation of middle-aged folks. Men and women in their 40s, 50s and beyond who refuse to accept shrinking muscles and expanding waistlines as an inevitable part of aging. The article also talks about a consequence of aging with which we all have to struggle – sarcopenia. Sarcopenia is the natural, age-related, loss of muscle mass. 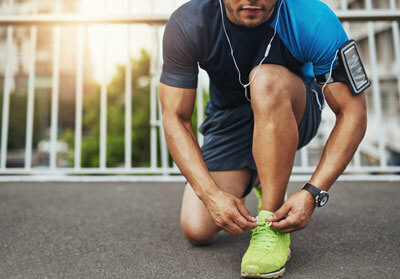 After age 30, men and women lose an average of five per cent of their muscle each decade – unless they do something about it. Don’t be fooled – even if you don’t gain (or lose) any significant weight with age, but do nothing to counter the effects of sarcopenia, it likely means your muscle mass is shrinking while your volume of body fat is increasing. Less muscle mass slows down your metabolism, which means your body burns fewer calories—more of what you eat is likely ending up as fat. Your insulin resistance may also increase, putting you at greater risk of obesity and health complications like diabetes. The easy solution is to hit the gym. Weight training is key to halt and reverse that age-related muscle loss—cardio is great for burning calories, but it doesn’t do much for your muscles. As one of the experts quoted in the Citizen article said, an active 50-year-old can easily have more muscle than an inactive 30-year-old. But to build muscle, you have to give your body the right fuel. For muscle development (or redevelopment) protein is key. And this is where the confusion starts. One of our patients is a 48-year-old man who started hitting the gym several times a week five years ago, under the guidance of a personal trainer. He has seen big changes in his health, his weight, and his strength. These days, he continues to work out on his own, mixing it up between weight training and intense cardio classes like HIIT. He has found that the most effective way to build strength and get lean is to eat lots of protein, and to eat more carbohydrates on his workout days and less on his rest days. How does this look by the numbers? He aims for 175-200 grams of protein a day. No more than 175 grams of carbohydrates on a workout day, no more than 100 on a rest day. Fats he keeps around 60-80 grams a day. He tracks all this with a calorie counter app – MyFitnessPal. It gives him a personalized plan that calls for only 99 grams of protein a day and allows for up to 240 grams of carbohydrates. Do you see a disconnect between what he has found works for him and what the app tells him? Next door to our Kanata chiropractic clinic, the Popeye’s supplements store has an InBody scanner that measures a person’s body fat percentage and amount of lean muscle mass. This patient had himself scanned a year ago, and then again just recently. The result? Despite all his time in the gym, a slight decrease in his muscle mass, and a small increase in his body fat. Now, that change in muscle could be within the acceptable range of error for this particular kind of body scanner. On the other hand, it shows that even an active middle-aged man who watches what he eats is still fighting an uphill battle against the effects of aging. It should be noted that, since the first scan a year ago, this patient had changed to a routine where he did less weight training than before in exchange for more cardio, and he had changed his diet to eat less protein a day and more carbohydrates. Which the store staffer who administered the test – a young fellow with big muscles – suggested could account for the changes in his muscle and fat mass. If this patient wanted to stay lean and continue building muscle, the staffer told him, stick with what had worked for him before – eat twice as much protein in a day than MyFitnessPal suggested, and far fewer carbohydrates. It is important to exercise and weight train to fight the effects of aging. In fact, it’s the only way. It’s just as important to understand how your body responds to the fuel you provide – what works well for one person will not for another. We each also respond differently to different kinds of exercise. With so much information out there that is often contradictory, it’s important to have professional guidance that is personalized to you. The only way to find what works best for you is to try different things and track the results over time. Again, having a coach who knows what they are doing can dramatically shorten this learning curve.